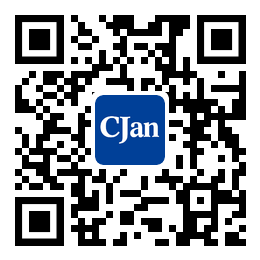 ﻿ The Selection of Industrial Hoses - CJan Fluid Technology Co., Ltd.
1. Fully understand the media situation. For different media, the pH value is different, and the corrosion is different. We can select suitable hose and nozzle socket according to chemical performance control. 2. Given the temperature of the medium. Operating under high temperature will accelerate the fatigue and aging of the hose. As the temperature increases, the speed of the hose pump decreases, so the temperature limit of the hose is also considered as a factor in the selection of the peristaltic pump. 3. According to the flow of peristaltic pump selection. The flow of peristaltic pump depends on the capacity of the hose, the speed of the pump, and the operating environment. Of course, we can choose the same type of flow pump, so we have to consider some of the elements of the users, such as the relationship between initial investment and long-term operating costs. 4. The pressure and flow customers match the actual situation perfectly. The flow can set the pump speed rotation and can set the pump pressure according to customer requirements (16), and then we can select the type of industrial hoses and determine the net power and installed power. 5. The length of the inlet and outlet pipes, the viscosity of the liquid. This information determines the driving force and friction loss, but it can also be used to determine if a supplementary vacuum device is needed. 6. The material of nozzle connector. We usually use 316 stainless steel hygiene level, and we can also provide PP, PVDF.